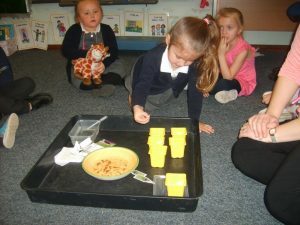 This week Nursery have been learning about Spring. 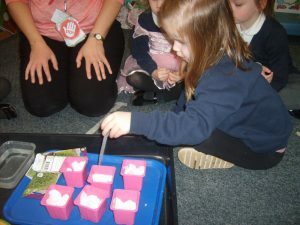 We learned that flowers grow, eggs hatch and baby animals are born in the Spring. We did some science! We planted some cress seeds in pots. 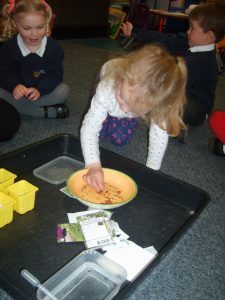 We added water to the seeds and then we put half in the sunshine and half in the cupboard in the dark. 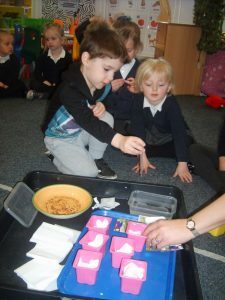 After a few days we looked at the cress, we found out that the cress had grown in the sunshine but not in the dark. 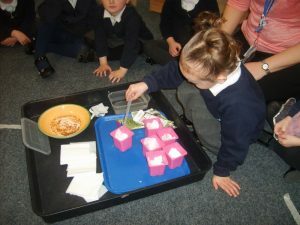 We looked at the cress and we saw their roots, stems and leaves. We learned that plants and flowers need water and sunshine to grow.